We make ponchos for refugees in France and to sell to supporters in the UK – can you help? Last winter, we made 1027 ponchos for refugees in France, which were distributed through the Help Refugees warehouse in Calais. We were aiming to send more this winter and over 1100 ponchos have already been taken to Calais since September. 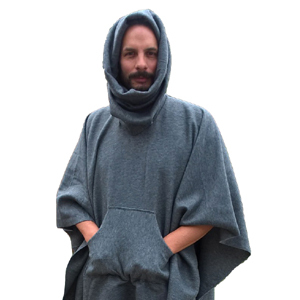 We are also now making Ponchos4All to sell in the UK. Every colourful poncho sold here funds three ponchos for refugees. Please come to a sewing session. No experience is necessary, you don’t even need a sewing machine (though it helps).